Tampa law firm specializing in civil litigation seeks an experienced Paralegal with a minimum of three (3) years of litigation experience. Experience with and working knowledge of Outlook and Aderant (Client Profiles) is preferred. You must be able to immediately work files and move cases independently to conclusion. Must have the ability to handle written discovery, draft correspondence, motions and pleadings, speak with clients, schedule depositions, communicate with experts, prepare medical chronologies and deposition summaries, track and calendar deadlines, e-file in State and Federal court and prepare for trial as necessary. 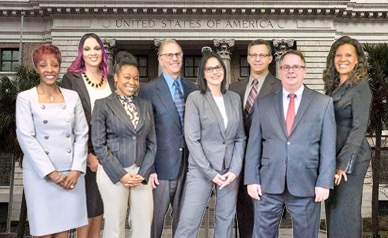 We are a team spirited and family oriented law firm. Employer-paid benefits include health insurance, short and long term disability, dental and life insurance. Free parking provided. Salary is commensurate with experience. Please submit your resume and three (3) verifiable references to: Shevenell@HDLawPartners.com and Brennan@HDLawPartners.com.